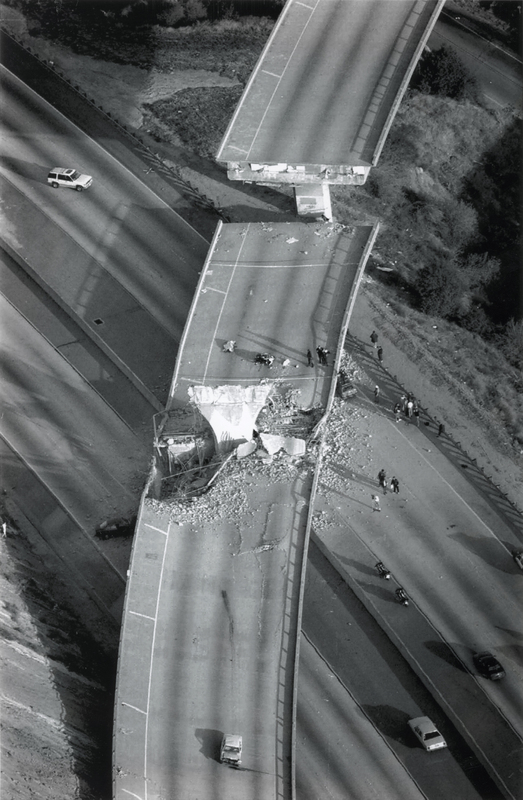 SCVHistory.com LW3049 | 1994 Northridge Earthquake | Collapsed 14 Freeway Ramp Claims Life of LAPD Officer Clarence Wayne Dean, 1-17-1994. 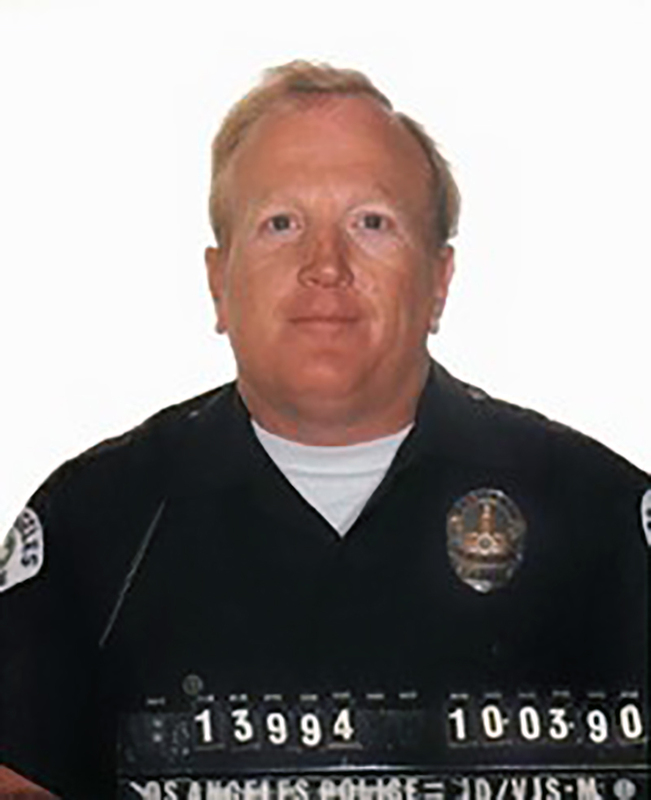 January 17, 1994 — LAPD Motor Officer Clarence Wayne Dean, 46, was killed while en route from his home in Lancaster to work at LAPD Van Nuys Station when he couldn't see, in the pre-dawn darkness, that the southbound 14 Freeway ramp had collapsed onto the Interstate 5 Freeway below. Dean's covered body and his wrecked Kawasaki Police 1000 motorcycle are visible in the center of this 7x10-inch Associated Press wire photo, which was published in AP-member newspapers the next day. 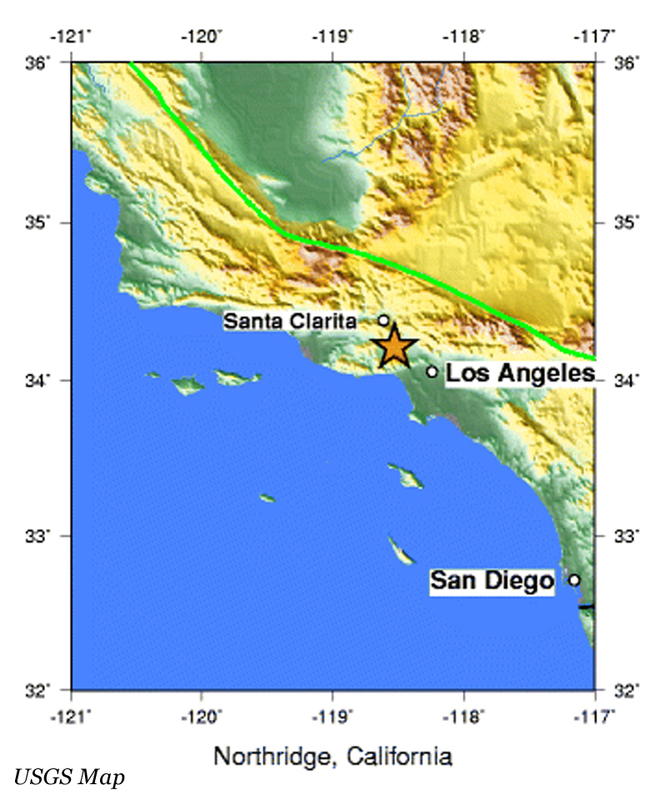 The 5/14 freeway transition in the Newhall Pass was subsequently named the Clarence Wayne Dean Memorial Interchange. LW3049: 9600 dpi jpeg from original wire photo purchased 2017 by Leon Worden.